Okay, I know that saying the "best" brush marker is a bit of a stretch, but I truly believe that out of all of the brush pens/brush markers that I know of, this is the overall best one for beginners starting to learn calligraphy. Seriously though, I really like these markers. They're amazing for calligraphy beginners, and even as a hand-lettering "veteran", I still use them all the time. So, what are these magical brush markers? Read on to find out! 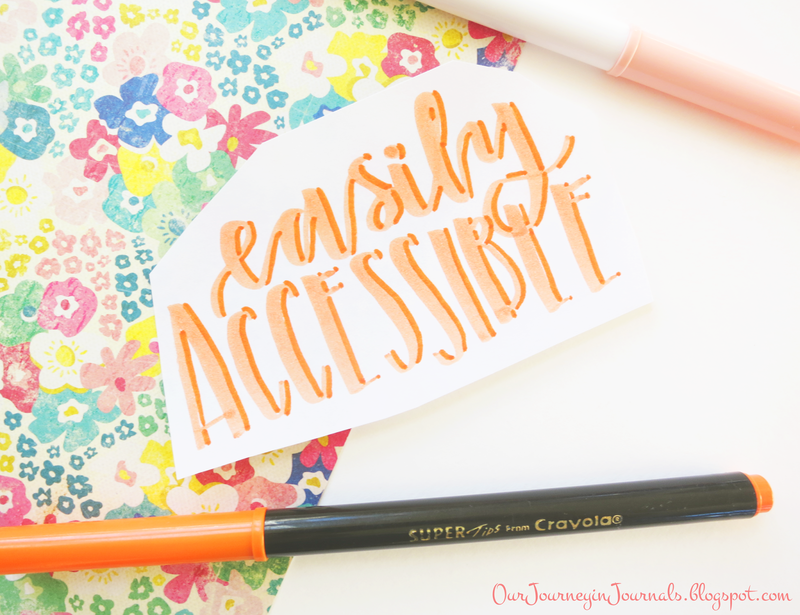 I find that the Crayola Super Tip markers are such great tools to use for hand-lettering beginners for a variety of reasons. Once you read all the stuff that I cover about these markers, I think that you probably will also agree that these are some of the best pens out there to use for brush calligraphy. The brush tip of the Crayola Super Tips is very good for beginners. People that are just beginning brush calligraphy should generally use markers with harder tips since it's easier to control, which is why many people turn to the Crayola Broad Line Classic markers since they have very hard tips, but I think that they might actually be too hard. The tips of them can be hard to the point of being difficult to control the thickness of downstrokes. And plus, the marker tips can handle stress quite well; I've had mine for several years, and most of them can still go relatively thin, and none of them have split or broken or anything like that. However, I will mention that some of the tips of them are kind of hairy at the side of the tip from when I mistreated the markers years ago, so I have to be careful with those specific markers or else I'll get weird lines by thick downstrokes I make. *Note: I do have lots of work around that I made from a year ago using Crayola Super Tips, but the ink is not archival, so it will discolor if left under the sun. However, you can't get Crayola Super Tips in single stock, meaning that if you run out or lose a specific color, then you would either have to buy a whole 'nother pack or just deal with it. This can be annoying to some people, but I personally haven't found it to be a big deal at all. Plus, they're cheap enough that buying another pack won't break the bank. *Note: the Silly Scent markers have black barrels (like the orange and the dark red in the above picture), and the normal markers have white barrels. 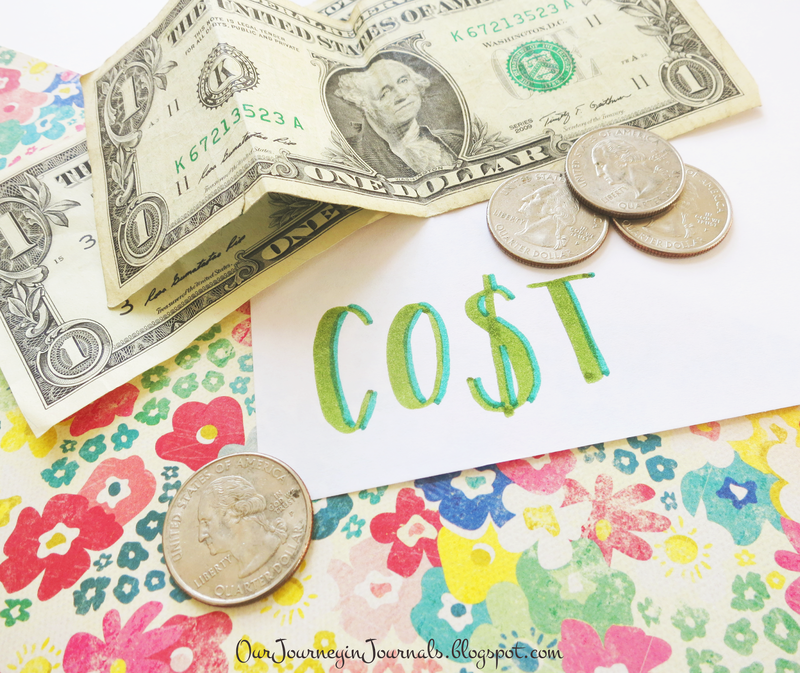 And speaking of cheap, the Crayola Super Tip markers are seriously really cheap! It will vary between different retailers, but Target sells the 50 pack online for $6.99!! 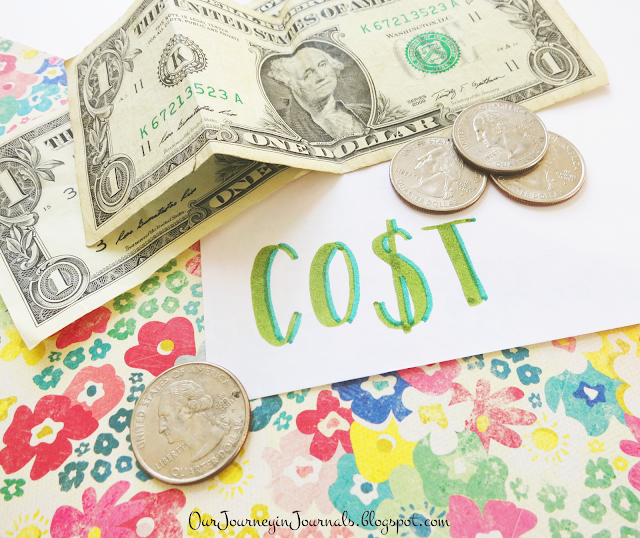 That's about 14 cents per marker! 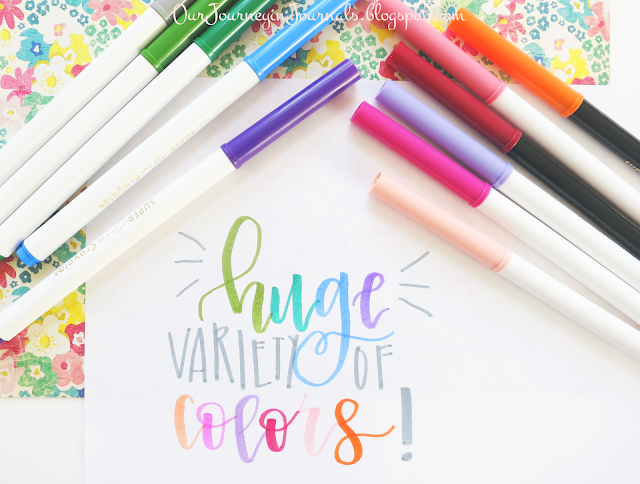 This makes these markers a small investment for a hobby that can bring you so much happiness. If you still don't really know if brush calligraphy is something that you're going to stick with in the future (or if you haven't started yet), then this is a low risk opportunity to see if you even like hand-lettering. Plus, like I mentioned before, I've been doing brush lettering for quite a while, and I still reach for these markers every day. Thus, there's really no downside to spending just a couple of bucks to get these markers! Finally, my last point: how easily you can find Crayola Super Tips. At least in the US (and any other countries where Crayola is a popular brand), these markers are stocked pretty much everywhere that sells basic kid's art supplies: Walmart, Target, Meijer, Michael's etc. This makes it super convenient to buy them. In fact, if you have a family with young children or if you work with kids, then you might even already have these markers lying around; I know that I had a lot of them from when I was a kid (lol who am I kidding; I'm still a kid). Consequently, you can start learning brush calligraphy essentially for free. 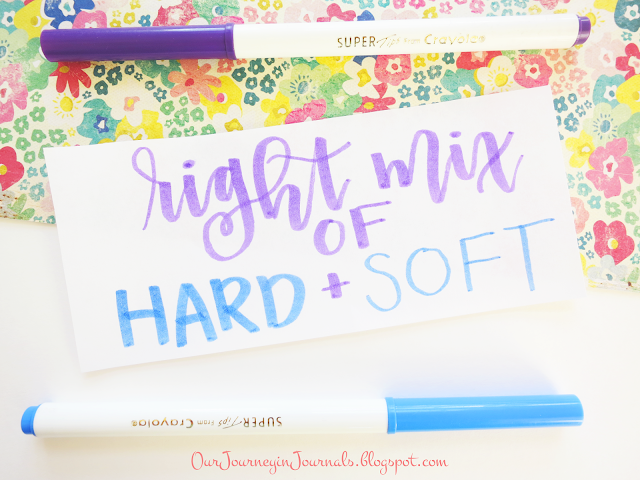 I hope that through reading this post you can now see why I consider the Crayola Super Tip markers to be the best markers for brush calligraphy beginners. 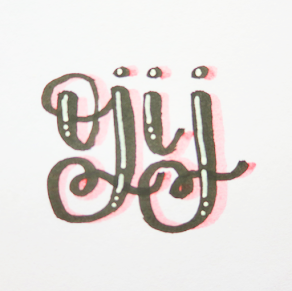 Even if you are more experienced with brush calligraphy, I still suggest trying them out (if it's convenient for you) since they're just overall great for hand-lettering in general, regardless of skill level. 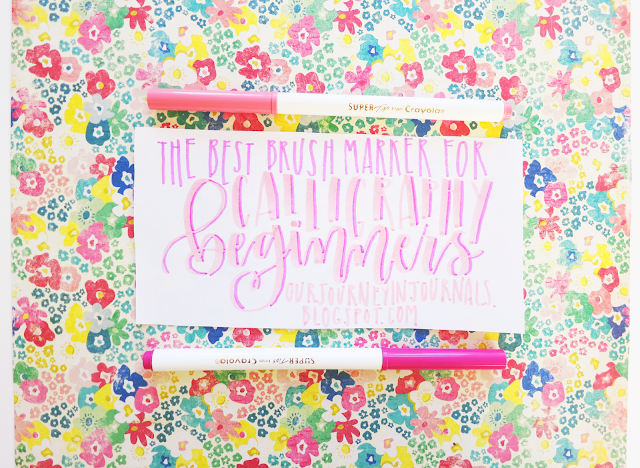 What are your favorite markers for brush calligraphy? Let me know by leaving a comment down below!